Making a presentation at work, introducing yourself to a new neighbor, or attending a social gathering: How do you feel in these situations? While many people experience some amount of discomfort in social situations from time to time, for people with social anxiety these types of events can lead to intense feelings of distress. People with social anxiety often feel awkward or out of place in social situations, and worry that others will sense their discomfort. They may experience physical symptoms such as a racing or pounding heart, sweating, shortness of breath, chest tightness, or upset stomach. 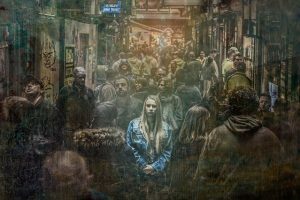 In many cases, people with social anxiety end up avoiding social situations entirely in order to avoid these distressing physical and emotional symptoms. While avoidance does work in one respect (no trigger, means no symptoms), it results in the person missing out on both social and work-related opportunities. It also tends to reinforce the message to the person that they are not capable of handling social situations. Over time, the number of situations that cause social anxiety may actually expand, and the person’s ability to cope with distress decreases. With therapy, a person can increase their ability to cope with situations that cause social anxiety. Cognitive Behavioural Therapy (CBT) is one type of therapy that is an effective treatment for social anxiety. CBT teaches a person tools that work to reduce anxiety and increase coping skills so that a person no longer needs to avoid social situations and doesn’t experience the intense distress associated with social anxiety.